Dark Star has a lot of influences, because it’s three things in one. It’s science fiction, it’s a detective story of the noir and hard-boiled brand, and it’s an epic in the classical sense. The best place to start is at the beginning, because it’s possible to see the exact moment when a fairly predictable trend in reading became something else. I started out with Brian Jacques and Roald Dahl from the age of about six, and by the time I was half way through my teens, I had devoured everything written by Terry Pratchett and Neil Gaiman, as well as a few other authors writing along the same lines. Then, at the age of sixteen, I was made to read All the Pretty Horses by Cormac McCarthy, and everything changed. It’s difficult to describe exactly what that book did for me. It was as if I had certain expectations about what books were, what books could be, and I could see the limits of that. Then experiencing a book like All the Pretty Horses opened my mind to a whole world of literary writing that I had not really considered before. This is where it’s possible to start to see where Dark Star came from. Over the past few years, I’ve been reading pretty much anything and everything to broaden my sense of what a book can be. From Lovecraft’s grim and verbose short stories, to Philip Roth’s beautiful but horrible Sabbath’s Theatre (the best book I’ve never finished) to Bret Easton Ellis, testing the idea of vacancy in the lines he writes, and beyond. I’ve loved the architecture behind Mervyn Peake’s Gormenghast books, and been in awe of James Joyce’s almost impenetrable writing in Ulysses, and spent even more time investigating what makes gothic classics, Frankenstein and Dracula, tick. From science fiction, I cite China Mieville and Michel Faber as major influences. Specifically, Mieville’s The City & The City, which had a sense of wonder behind each discovery that I desperately wanted to kindle for myself, and Faber’s Under The Skin, which evoked such a sense of character in both its place and in its moods, that I hoped to see something similar in my own work. For Dark Star, I wanted the reader to feel a sense of discovery in a world that is disarmingly familiar. I wanted to evoke that 1920s noir kind of atmosphere, then give the reader glimpses of the science fiction beyond. I chose a few books from the classic detective genre to look at in order to understand it better, and Raymond Chandler is the author I have to cite above all others. The Big Sleep was crafted so well to be what it was, and it is possible to see why it has had such a big influence on authors other than myself. This is one of the main sources from which those most treasured clichés and tropes come, which I hope I have treated well in my own book. Making a world that felt familiar, just like Chandler did, was important to me. Closer to the atmosphere that Dark Star would have, however, has to be Frank Miller’s Sin City. Sin City had the voice that I wanted to use; that gritty internal monologue, bitter and beaten by its surroundings. 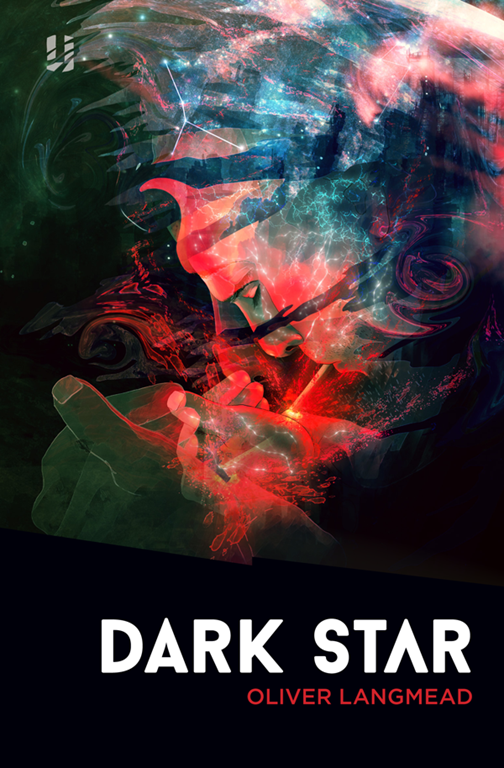 Dark Star is a love story for three genres, however, and the third might surprise you. I hope that you’ve heard of Homer’s Odyssey and Iliad. I hope that you’ve heard of The Divine Comedy, and the Aeneid, and Paradise Lost. Because these are all epics, written in an ancient style, which I completely fell for and decided to try and emulate. I’m hoping that you’re wondering whether writing a science fiction noir in verse would work at all. Because I wondered that, as well. But… it does work. Some of those recognisable elements are there: the pentameter, the descent and the divine, and some of them are not, but Dark Star is undoubtedly written in the tradition of those ancient greats. It all comes back to McCarthy’s All The Pretty Horses, in the end. When I read it, I thought that it was completely marvellous that I had never read a book like it before: that someone had tried something so ambitious, and had been so successful with it. It’s something that I wanted to try for myself. And the result of that is Dark Star. To celebrate the release of this excellent novel, Oliver’s publishers, Unsung Stories, are very kindly giving away a signed copy of Dark Star and a signed Dark Star poster to one lucky winner. Which book changed your expectations of what books can be? Make sure you include the hashtag #DarkStarGiveaway as well as including @MattGCraig @UnsungTweets to ensure your entry is included. The competition will close at midnight, Monday 30th March 2015 and the winner will be notified shortly thereafter. Unsung Stories send excellent fortnightly short stories for free, direct to your email inbox. Sign up here to ensure you don’t miss a single one.